after watching a movie at greenbelt 3, i was looking for something to satisfy my sweet tooth so i decided to buy frozen yogurt. 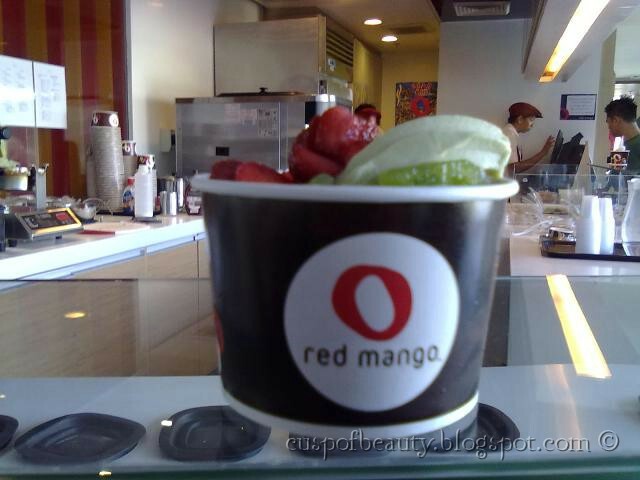 i went to the red mango kiosk and ordered a small green tea yogurt with strawberries and kiwis as topping. the yogurt was good. it had a slight sweet taste with tang of sourness. the flavor of the green tea was just right and not overpowering. 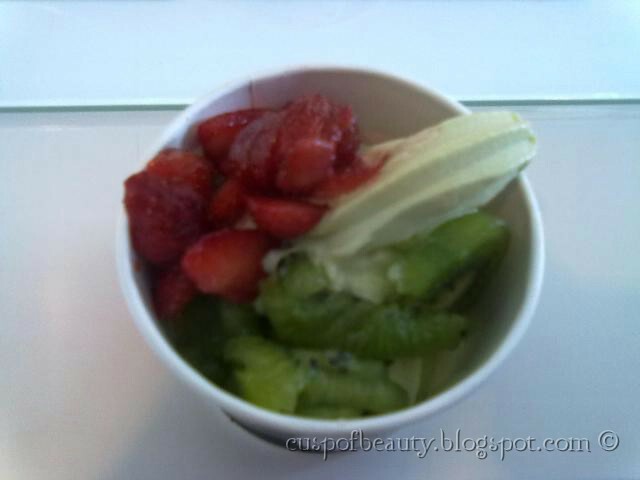 the fruits were a great complement to the yogurt. if ever i am in greenbelt 3 again, i would try another topping combination. 3/27/2010 – date day for us. what we decided to do was eat lunch at greenbelt and watch the movie “the book of eli”. 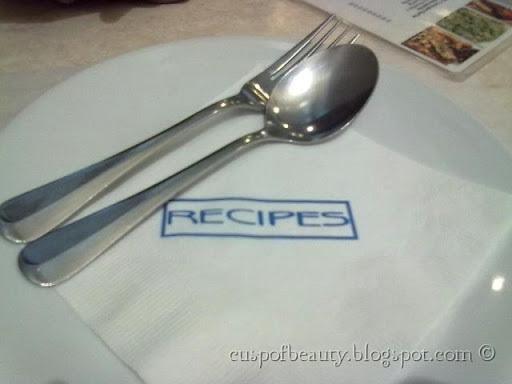 after perusing through the various restaurants at greenbelt 3, we zeroed in at recipes by cafe metro. we ordered the rice + 1 meals. 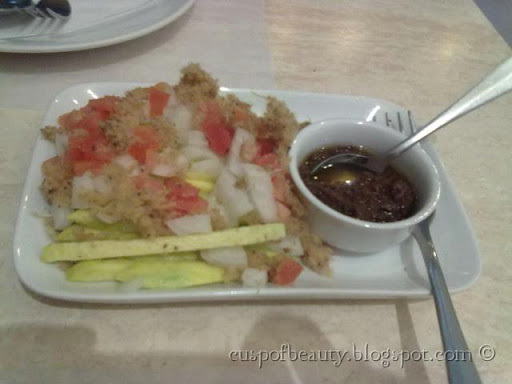 these are different choices of viands that is served together with rice and a glass of iced tea (Php 170.00). 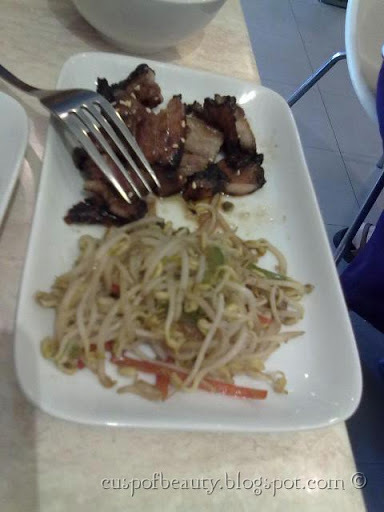 we chose bbq short ribs, adobo flakes with egg and green mango + catfish salad (Php 105.00). i opted to change mine to garlic rice for an additional of Php 10.00.
the salad was good, but it could have been better if there was more catfish and the mango have been cubed instead of sliced into strips so that it would have been easier to eat. 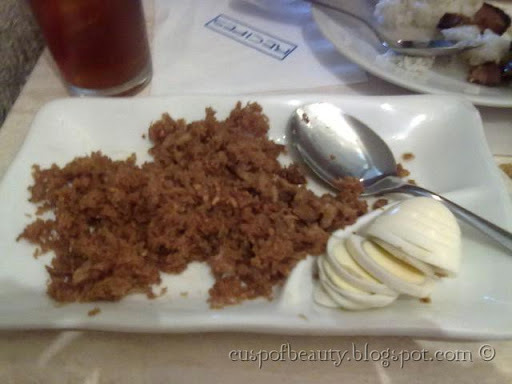 the adobo flakes was crisply done, and was a little bit too salty. it would have helped if there was vinegar served on the side. 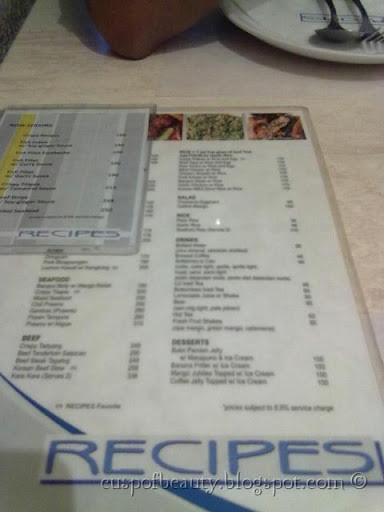 our total bill was a little less than Php 500.00. the food was worth the price. if you are looking for filipino fares, this is one restaurant you could choose.